The BBC Philharmonic performs Saint-Saens Piano Concerto No 2, the UK premiere of Musgrave's Songs for Spring and Elgar's epic First Symphony. Presented by Tom McKinney. 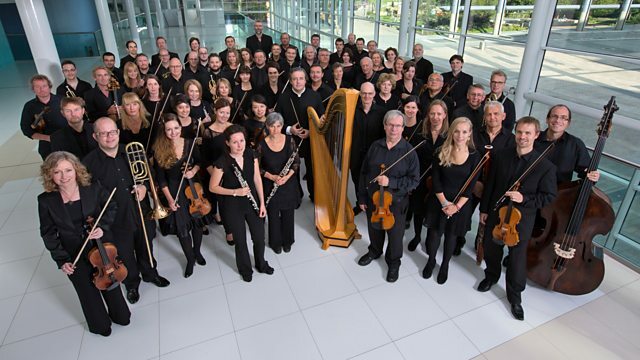 Birds on the wing open today's Afternoon Concert, with the BBC Philharmonic and presenter Tom McKinney - works by Respighi, Sibelius and Rautavaara, and two UK premieres with Andrea Tarrodi's Birds of Paradise II and Minna Leinonen's Kaarne (The Raven). There's also the second of this week's Saint-Saens piano concertos with soloist Louis Lortie, and visits to Italy with Berlioz and Foulds, Then, the orchestra also give the UK premiere of Thea Musgrave's Songs for Spring with baritone Ashley Riches and conductor Clarke Rundell, and the afternoon closes with Elgar's epic First Symphony, premiered in Manchester in 1908 and which conductor Arthur Nikisch dubbed “the Fifth of Brahms”. Orchestra: BBC Philharmonic. Conductor: Anna-Maria Helsing. Performer: Louis Lortie. Orchestra: BBC Philharmonic. Orchestra: BBC Philharmonic. Conductor: Andrew Litton. Performer: Ashley Riches. Orchestra: BBC Philharmonic.